Whether we realize it or not, we're constantly communicating. From nonverbal cues such as nodding our head or rolling our eyes to talking or writing, we're continuously conveying information on our thoughts and desires to others. For many, however, they are unable to perform even the most modest methods of communication. And when a child or adult can’t communicate, it’s frustrating – not just for the person affected, but family, friends and caregivers, as well. "Because everyone deserves a voice." Once the decision is made to use augmentative and alternative communication (AAC), there are usually a lot of questions. This section is designed to serve as a resource for parents, caregivers, spouses – anyone new to AAC devices and language systems. While it may seem overwhelming as you begin your journey, we at PRC are ready to help you make sense of it all. Ask us questions, schedule time with us – we want to make your AAC journey as easy as possible, not only as you prepare to work with your device but long after. Welcome to AAC. Welcome to PRC. Speech and language development are different, yet go hand-in-hand. 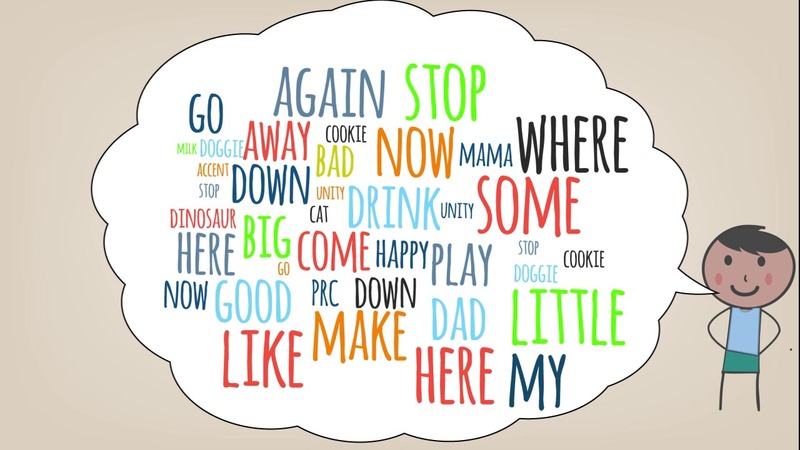 Learn more about how children develop language and create speech, and how we can help those who may not be able to do so. Watch our video and meet Trevor. Follow along as he goes through his AAC journey!